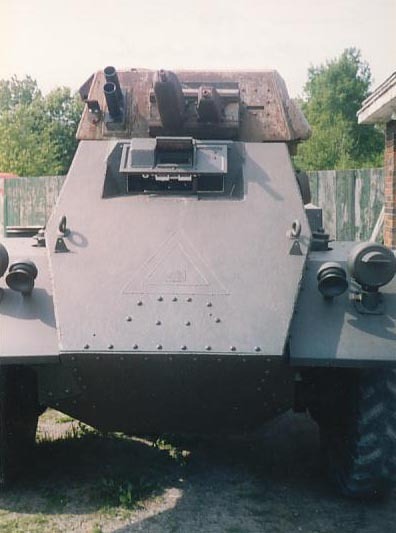 The Car, Armoured Mark I, Fox I was based on the British Humber Mk.IV, and was manufactured by General Motors of Canada. It was armed with a .50 and .30 cal machine gun in a hand-cranked turret. The Fox saw limited service in India, Italy and Great Britain. Out of 1506 Foxes built, only a handful are known to survive today. 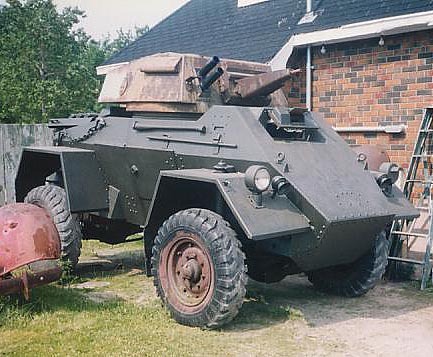 Shortly after WW2, when the Netherlands were trying to prevent Indonesia becoming independent, the Humber Mk.IV Armoured Car (see left) was the backbone of the Royal Netherlands Army's reconnaissance squadrons. When the supply of usable Humber Mk.IV's ran out, 39 Foxes were acquired from the vehicle dump at Deelen. During October 1946 Machinefabriek Wilton Fijenoord in Rotterdam fitted a Humber turret to a Fox hull. The firing trials on 7 November 1946 were very successful so it was decided to convert 34 Foxes. The advantage of the Humber's 37 mm main gun was that uniformity in armament was retained. Also, the Fox's GMC engine was easier to maintain as the RNlA used large numbers of GMC trucks with the same powerplant. 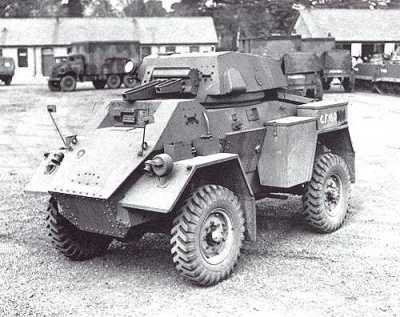 The Humfox armoured cars were shipped to Indonesia were they were used by the recce squadrons in conjunction with Ford Lynx or Humber Mk.III Reconnaissance Cars. 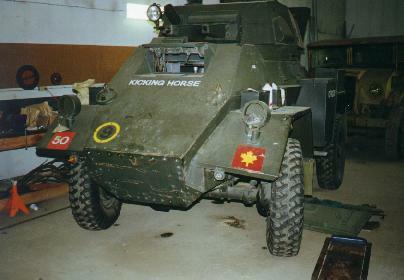 After the independence of Indonesia, the RNlA handed over much equipment. It is not known if and for how long the Indonesian Army used Humfoxes. Also, it is possible that a number of them were shipped back to the Netherlands. 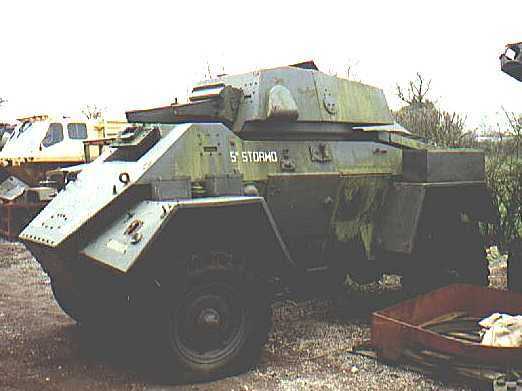 On 17 March 1951 the material overview still listed 14 "armoured cars, GMC, closed, with turret, Foxhound". 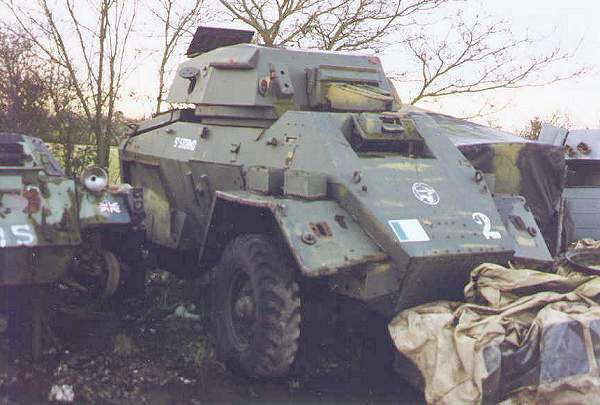 It is unclear whether these were Fox or Humfox armoured cars. 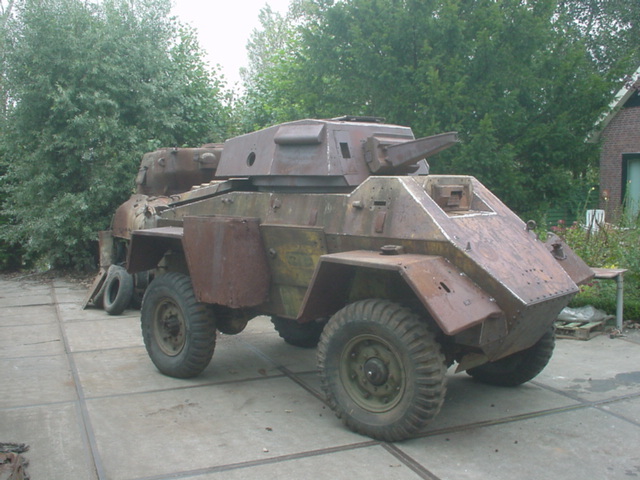 As late as 1989, at least two turretless Fox Armoured Cars were scrapped after languishing on a Netherlands Army training range for decades. Could these have been Humfoxes? A (barely...) surviving Fox in Great Britain. Another picture of this rather forlorn Fox. It's current whereabouts are unknown, if you know where it is please let us know. 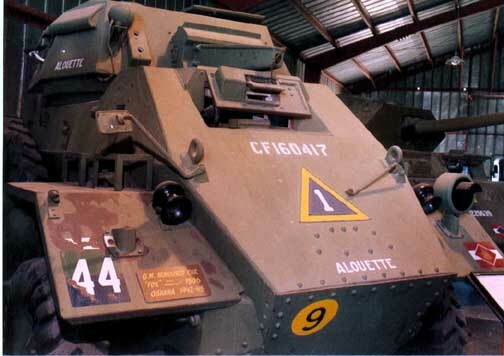 Alouette, the Fox at the Royal Canadian Artillery Museum at CFB Shilo, Canada. It was rescued from a scrap yard and restored by Bill Gregg. Kicking Horse is Mr. Lance Skinner's Fox (ex-Budge Collection). Al Nickolson, who sent in the scan, told me Mr. Skinner lives in Alberta, Canada, and has lots of room to drive military vehicles off road. Some toy! Information on another Fox in Canada comes from Chris Johnson: Don and George Elliott only have the one Fox, but they also have an Otter. They did a cosmetic restoration on the Fox in 1993 but ran into trouble with the turret race; the problem which escapes me now. I took photos of it then and have posted them here for anyone interested. Right now the Fox sits in their shed with the other relics they have on hand. The Elliot Bros. have two Fox, unless the derelict has been sold in the last 2 years (and pity the buyer unless deserate or he's using the vehicle as a monument. It has been stripped of almost everything but, to give it credit, it is mostly uncut and has all all it's major bits less running gear). Originally, there were 3 Fox and 2 Otters there. One Otter went to Quebec and is still there as a cosmetic runner, the other is still at Elliots in the museum painted a funky gloss green and sand. Nice, complete vehicle. Of the Fox, the one behind the main buildings is the one they chose to get running. It does, but has two front axles, something GM might have considered in 1943. 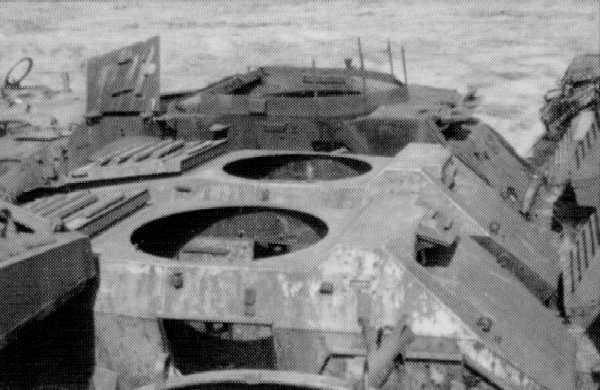 It WAS the one with "THIN ROOF HULL" welded on the turret sides. Elliots ground off the weld for better or worse. I understand the turret race problem. I have two lower rings, one of which must be flipped, machined and welded to a pair of new made flange rings. I'd gladly trade Elliots problem in this regard for my own. Les Fisher bough Fox No.2, which was the one to the west of the main buildings, near the early FAT body. No. 3 is close to the fence even further west, alas with it's snout facing the setting sun. The Elliot Bros. Fox No.3 was sold to Dirk Leegwater in 2002. It is seen here after it's arrival in the Netherlands. A Fox, lurking in the brambles in Great Britain. It awaits the treatment by a noted CMP collector who will no doubt bring it back to its former glory. Great page with information and photos of a privately owned Fox under restoration in Canada. 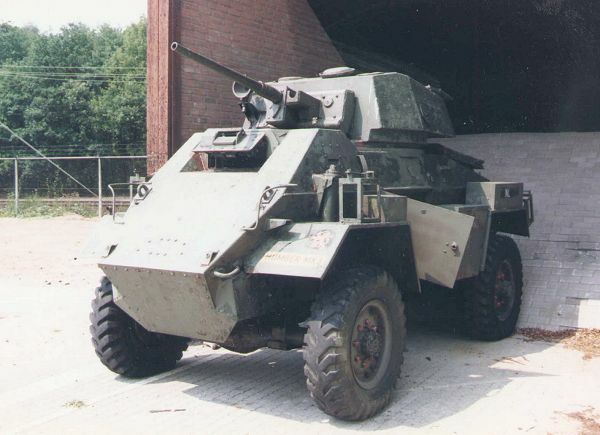 Note: follow the Fox Armoured Car thread on Maple Leaf Up Forum. Features the photo of the ex-Gregg Collection Fox shown above. This private collection in Great Britain acquired a Fox from Portugal in 1983. It was supplied to the Portuguese by the Canadians after WW2. 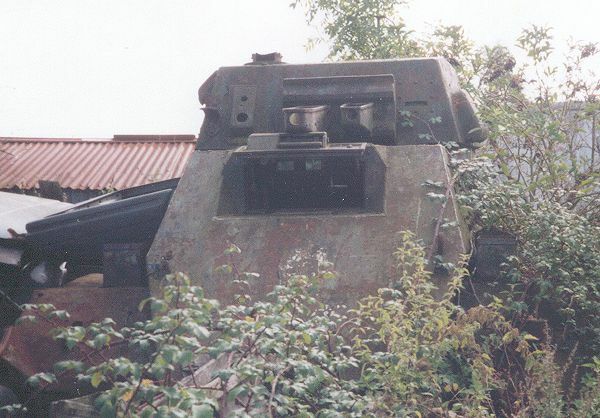 It remains unrestored as it was in an extremely poor state with severe damage to the rear off-side caused by an explosion of some kind, possibly a mine, which appeared to have rolled the vehicle over. The explosion has sprung the rivets on many of the internal bulkheads. It seems to have been used as a source of spares since the damage but it is unknown if the explosion happened when it was in Canadian or Portuguese ownership. Chris Shillito's site features the Development History & Specifications and extensive photo studies of the Guy and Humber armoured cars.